New Trailer is released for The Muppets: Most Wanted. New trailer features more footage and a clearer sneak peek of the plot. Watch the trailer after the jump. The sequel takes the entire Muppets gang on a global tour, selling out grand theaters in some of Europe's most exciting destinations, including Berlin, Madrid and London. 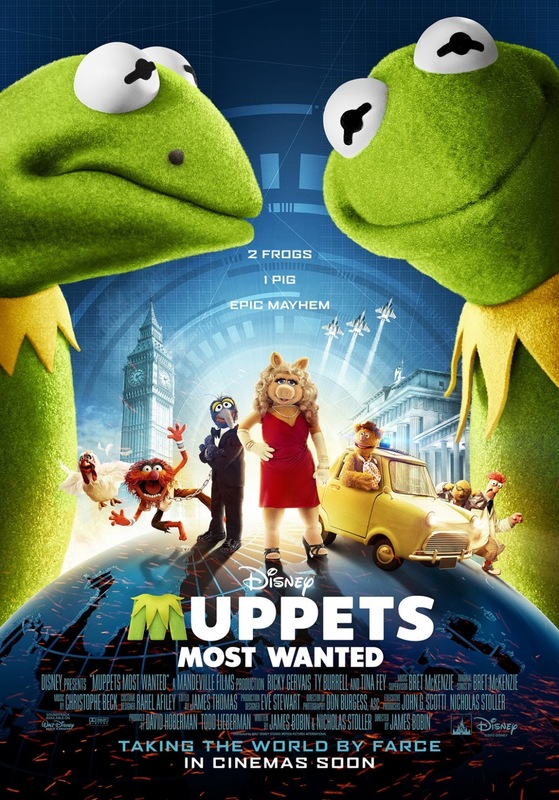 But mayhem follows the Muppets overseas, as they find themselves unwittingly entangled in an international crime caper headed by Constantine – the World's Number One Criminal and a dead ringer for Kermit – and his dastardly sidekick Dominic, aka Number Two, portrayed by Ricky Gervais. Tina Fey stars as Nadya, a feisty prison guard, and Ty Burrell as Interpol agent Jean Pierre Napoleon. Opening in the Philippines on March 21, to be distributed by Walt Disney Studios Motion Pictures International through Columbia Pictures.